Atticus and Tanner out at the range for the first impressions and shooting of the Zenith Firearms Z5K Pistol. This is an H&K MP5K clone chambered in 9mm. This gun is made in Turkey by MKE and Imported through Zenith Firearms. Stay Tuned for the review coming later this year. By Atticus | September 6, 2016 - 5:00 am | September 4, 2016 .357 Magnum, 2016, Desert Eagle, First Impressions, First Look, IWI, Magnum, Magnum Research, Pistol Caliber, Pistols, Preview, Range Day, Semi-Auto, SHOT 2016, SHOT Show, Video Tuesday, Videos, WANT! Today we get a first look at the Desert Eagle pistol from Magnum Research and do a quick field strip of the gun. Today we look at 6 Vltor stocks in Black, FDE/Tan and Foliage Green. Vltor sent the IMOD and the EMOD stocks for us to test on the #WindhamProject. I love the fact that the EMOD stock has the battery compartment for my CR123s. The IMOD stock is smaller so it has less of a foot print in your safe or hard case but still has the beastliness of the EMOD to handle anything you throw at them. The #WindhamProject is a Windham Weaponry RMCS-4 AR which is chamber in 5.56, .300BLK, 7.62x39mm, 9mm and .22lr. We have grabbed some of the most awesome parts of the gun industry to help us better customize this rifle and show you how to can turn this rifle from something awesome to something EPIC and drool worthy at the range. This week on Cool Guns of The Internet. Todays post is brought to you by God and Nature in the form of wood. If you have a firearm you would like us to post in next weeks CGI all you have to do is send us a picture of your firearms via email, at “pictures@gearsofguns.com” and we’ll post it! But tell us what the firearm is and for more flavor, tell us a story about the gun like a funny hunting trip, or a sentimental story about the gun! Make it as detailed as possible! And let us know who you are if you want photo credit! Shipped their new NiB-X Black Full Auto 5.56 Bolt Carrier Group with a NiB Hammer for the trigger assembly. Its been a wet spring, so I’m just waiting for things to dry out to be able to head to the range. By Atticus | December 14, 2015 - 11:00 am | December 13, 2015 .30 caliber, 2015, 5.56NATO, AR Platform, First Impressions, Gifts, Hexmag, Magazines, Polymer, Product reviews, Products we like, Range Gear, Review, Semi-Auto, SHOT 2014, SHOT 2015, SHOT Show, WANT! If you haven’t heard about or seen Hexmag’s by now you are missing out. For those of us who shoot AR style rifles or platforms that use AR style mags, know we have a large market when it comes to magazines. With manufacturers such as Magpul, Lancer, Surefire and X Products, we have an option, not only in companies but also in style, capacity and material. I had seen and used a few Hexmag’s prior to requesting a few for review from Hexmag. I am fond of polymer mags for the simple reason: there are never any failures to feed due to metal on metal friction when firing steel cased ammo. As I said, my personal most common Failure To Feed (FTF also failure to fire) is caused because I prefer to use steel cased ammo to do my reviews. My OOW Browning 1919 hates steel cased, ironically my SUREFIRE 60 round casket mag is about as good as a paperweight when loaded with steel cased and on hot days my C Products Defense mags will stick every 100 rounds or so. My only metal mag that does not care is my X Products X-15 Drum. Being in Texas, if I want a mag to function 99% of the time, I am left with no options but to mostly use polymer mags. Hexmag is an all polymer body and follower with a steel spring. This means for me, that I have a mag that doesn’t care what ammo it is feeding and just wants to keep running. In my testing, I never had a single FTF, much less a single hiccup in the 3000+ rounds we have fired using these mags. Hexmag, as you can see, has a hexagonal pattern on the body of the mag. This goes in the opposite direction of most mags, that use the “waffle” design. Damn… now I am hungry for a Belgian waffle. 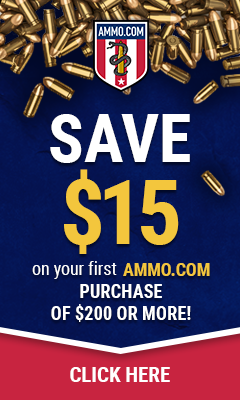 As more people are now training and using “tactical” gear, I am noticing a trend of more companies offering better grips for everything from pistols to magazines. I haven’t gotten into this trend. I have reviewed a grip tape for my Glock 21 and as I said back then it just isn’t something I care about. I do know however that to a lot of people, it does matter. Hexmag has jumped on the bandwagon early and is just straight up offering the die cut (or whatever the proper term might be for precut) grip tape that matches the hexagonal shapes on their awesome mags. You might be sitting there thinking, what kind of accessories might they offer? 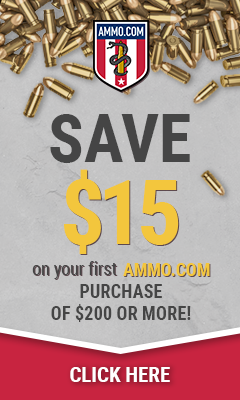 I mean Magpul offers their Magpul and ranger plates so what really could Hexmag offer that is even worth talking about? Yup I am talking about multiple colors for the follower and base plate button release. WHAT!?! GAME CHANGER! I mean who doesn’t want “Panther Pink” AR mag parts? I know I don’t!… Wait, I do like this idea… hold up. By having my mags color coded I can identify my match grade bench ammo and my M193 ammo without worrying about getting my mags mixed up? I’m in! The “HexID System” is pretty smart. You are not painting your magazines but you have an easy identifier to tell you what you are shooting. Some of us might not even think we would need or use this until we have them. I shoot mostly steel case but I know on more than one occasion, I have been testing different ammo and needed to keep my loaded mags marked, so I know what I was working on. I also have experienced a few times where I have been running .300Blackout and 5.56x45mm guns on the same table using the same mag brands. We have to keep everything separated so we never cross mags in the guns. I want to tell you about all the amazing testing that we did. I drove over the magazine. That’s it. Oh and I shot 3000+ rounds using only 2 Hexmags over the course of 5 hours. HOLY BANANAS! They have 4 different colors to choose from and each color is more exciting than the last! They offer black, a tan-ish black, a lighter hue of black (some of ya’ll less “fashion forward” as I might call “dark gray”), and amazing tint of olive black that is so olive black you might even call it an olive drab. Would I recommend Hexmag? Maybe. I don’t know… let me turn it back on you! Do you like interchangeable followers and base plate buttons to help you ID your mag from a mag pouch? What about mags that can withstand a Ford F250 loaded to bear with guns and gear driving over mags while on crushed rock that will stand up to the test and not bend or break? What about four different colors of black on AWESOME mags? I am not trying to sway your opinions of Hexmag. I just personally think there is one more 30 round polymer mag on that market that can stand next to someone like Magpul. Seriously, 3000+ rounds over the course of 5 hours and I didn’t experience a single problem. We drove over one of the mags mid way through testing and still no hiccups. Excuse me now, I am adding some Hexmags to my Christmas wish list. I have this weird need to collect cleaning kits. It isn’t because I need 7 identical 12 gauge brushes or because I am lacking in the cleaning rod or cleaning cable department. It seems everyone has their own take on what a shooter needs to help them achieve the best clean possible and I like to see what the differences are. Most companies send out their version of oil and cleaner or even just CLP. However, so far, as much as I am willing to try new types of cleaners or CLPs I do favor my M-Pro7 32oz spray for cleaning. As you can see in the picture above the main kit comes 14 different caliber brushes for just about every caliber you might need. For me, this means I can clean all of my firearms and my friends and family can use this kit to clean theirs too. Other brushes: It comes with a nylon brush that I like to use in addition to gun cleaning as my travel tooth brush and beard comb. I have found that a hit of rem oil really gets the teeth pearly white and the beard soft and shiny (No! Seriously, I promise I am NOT stupid enough to believe that I can use gun cleaning gear to brush my teeth or comb my beard! Just joking! You will harm yourself if you try this). Otis ships this kit with carbon scrapers, 3 tubes of CLP, lens cleaners, patches for all calibers, cleaning parts for air guns and even a chamber brush for your ARs. This kit doesn’t come with a brass cleaning rod but rather cleaning cables. I admit to having days I like them and days I don’t. The 6 brushes that come with this kit are 12/10 Gauge, .22 cal, .27 cal, .45, .38, and .30. The Otis Technology Elite Cleaning System retails for $99 Amazon. This kit is really nice in the brush department but I would have liked to have seen their AR BCM cleaning tool they call the B.O.N.E.® TOOL. They make them for both 5.56 and 7.62 bolts. As I said earlier, I use this with M-Pro 7 cleaner and oil because I find it works best for me. The Otis Technology Elite Cleaning System is great if you are looking for an all caliber in one kit. Everyone with more than one caliber collection should have one. This kits is a must for collectors, gun ranges, firearm instructors, etc. If you are someone who stays in the 3 or 4 caliber range ( 9mm, .45, .22 and .30 caliber or what ever it might be) this kit might be overkill but if you know you are going to be branching out and getting into the revolver or big bore game or even just into the Shotgun game this kits is GREAT! My only two comments, or wish list about what I would like to see changed or added is the BONE tool and the removable kit upgraded to MOLLE.